Your house is left behind as I found it. Your keys will not be labelled with your name and/or address, only the name of your cat(s). 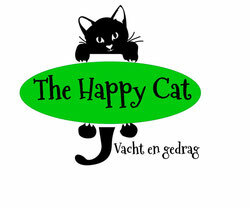 In case of illness or other urgent reasons, The Happy Cat is entitled to have a qualified replacement perform the home visit or bring an intern. Cat-sitting appointments cancelled less than 24 hours in advance will be charged. You will be sent a digital invoice before the cat-sitting period starts. The invoice must be paid before the cat-sitting period starts or the cat-sitting will not occur. In case of a weather alert, code orange or red, in the Amsterdam region, the cat-sitting will be postponed until the code has ended. In case of illness of your cat(s), we will contact you and visit your vet upon request/if necessary. You will be charged the costs of the vet, the extra travel expenses and the rate for a vet visit.